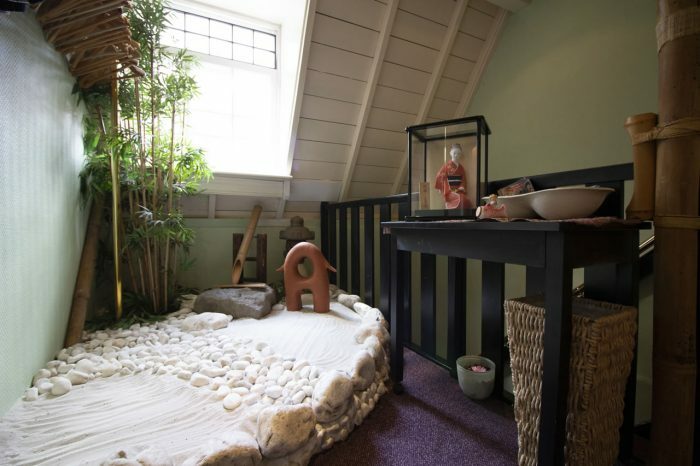 The unobtrusive entrance and a short climb on the steep staircase lead to a hideaway temple of Japanese cuisine in Den Bosch. 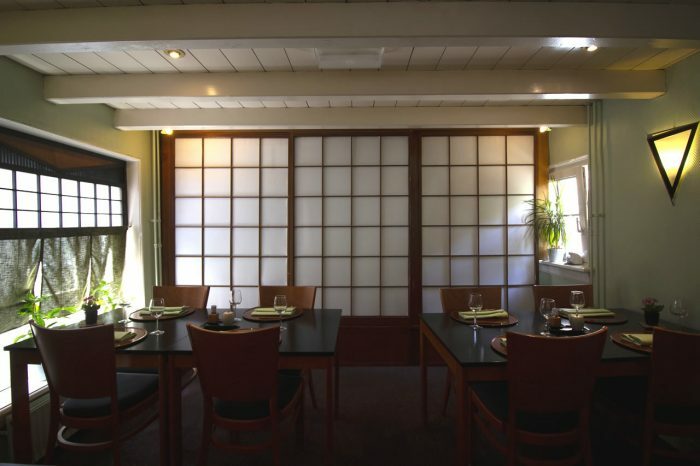 The wooden framework with traditional décor and the kimono-clad hostess give you a one-of-a-kind exclusive feeling. 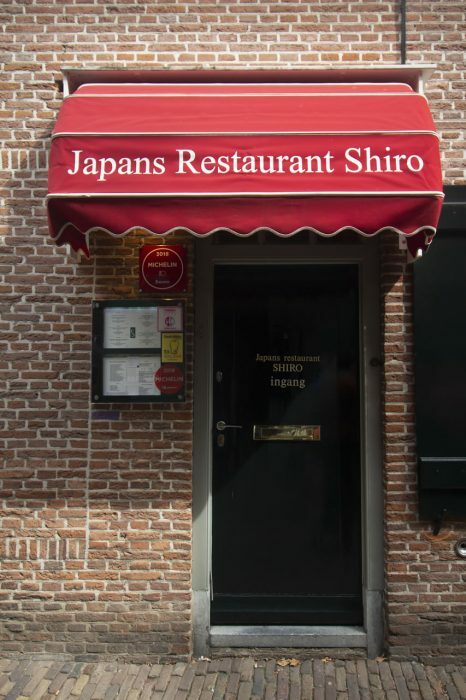 Japans Restaurant Shiro by Chef Mitsuhashi opened in September 1989 in the beautiful city of ‘s-Hertogenbosch. 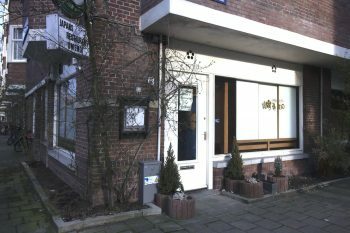 It was the second Japanese restaurant in the Netherlands to be featured on the Michelin guide over the last 28 years. Shiro (castle) nests on top of the French restaurant on the ground floor, Auberge de Veste, named after the fortress city of the Duke’s Forest. 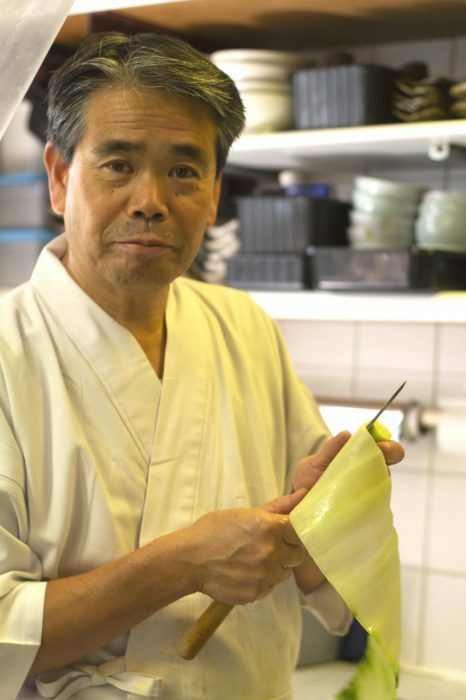 Mr Hiroyuki Mitsuhashi, who worked at Hotel Okura Tokyo for one and a half years, Hotel Okura Amsterdam for three years, now aims for the 30th anniversary of Shiro. Mr Mitsuhashi grew up as the youngest of a family of nine in Chiba Prefecture. He developed a liking for cooking at a young age. “Back then I thought becoming cook of Western cuisine was cool,” thus he trained hard for three years in Ginza working long hours. 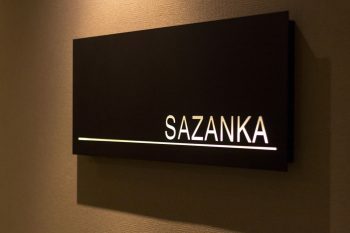 While he retreated in a non-food related industry where his brothers were involved, one of them brought him an offer for a Japanese cook at Hotel Okura Tokyo. At first, he was reluctant to leave his field of training and switch to Japanese cuisine which was considered “less cool”. But as Amsterdam seemed promising, he took on the chance. 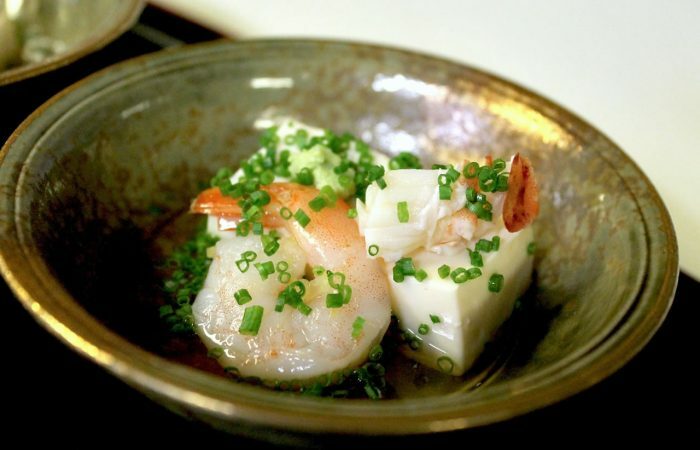 After three years at Japanese restaurant Yamazato of Hotel Okura Amsterdam, his master Mr Akira Oshima, Executive Chef of Yamazato and Sazanka, connected him with the French restaurant in Den Bosch. 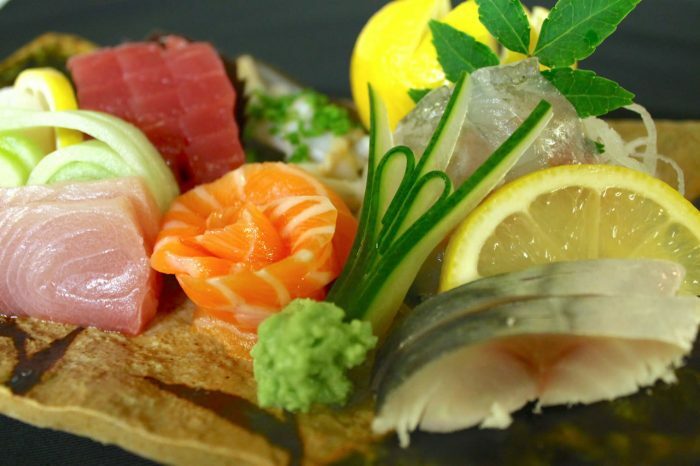 The Japanophile then-owner also wanted to serve sushi and Japanese cuisine and needed a chef from Yamazato. 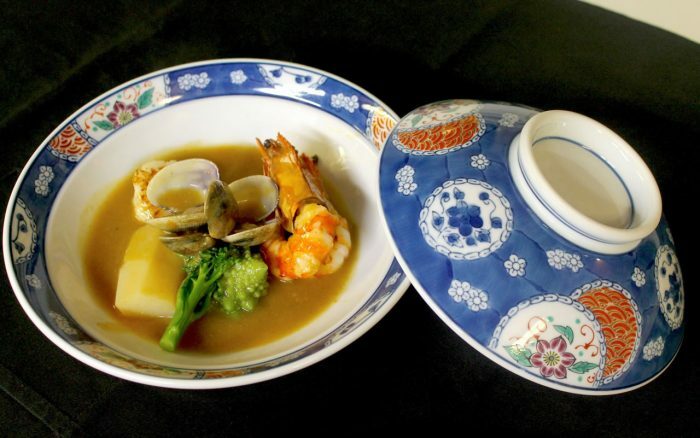 While the restaurant had two menus, the Japanese one became more popular. 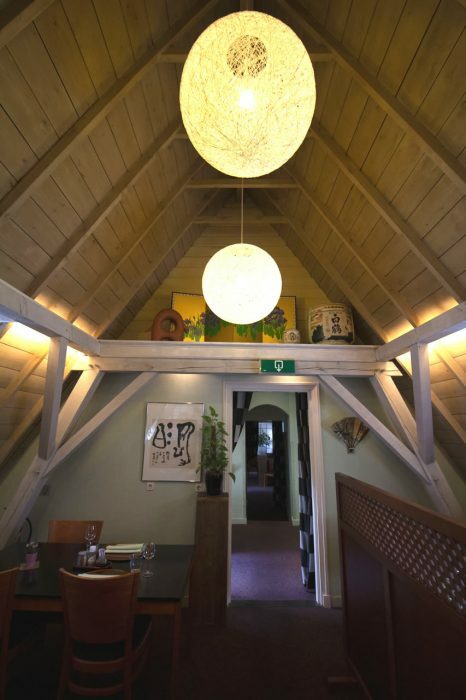 After two years the owner converted his living space upstairs into the Japanese restaurant as we can see today. “In the beginning, there were many Japanese companies and expats. But over the years local executives replaced Japanese expats,” Mr Mitsuhashi recalls. As to reflect the shift, almost all guests are locals and some gourmands visit from other cities such as Amsterdam. 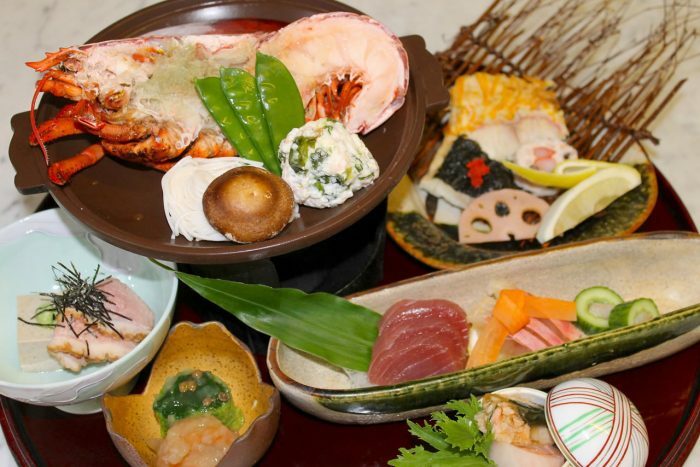 Recently many guests who have visited and returned from Japan seek to enjoy the Japanese atmosphere, service and hospitality at Shiro. The dedicated team of seven is looking forward to proudly serve you in their castle upon the fortress.